Hire a Hero recently caught up with Orion alumnus Antonio Moleros who shared his civilian career experience with us. 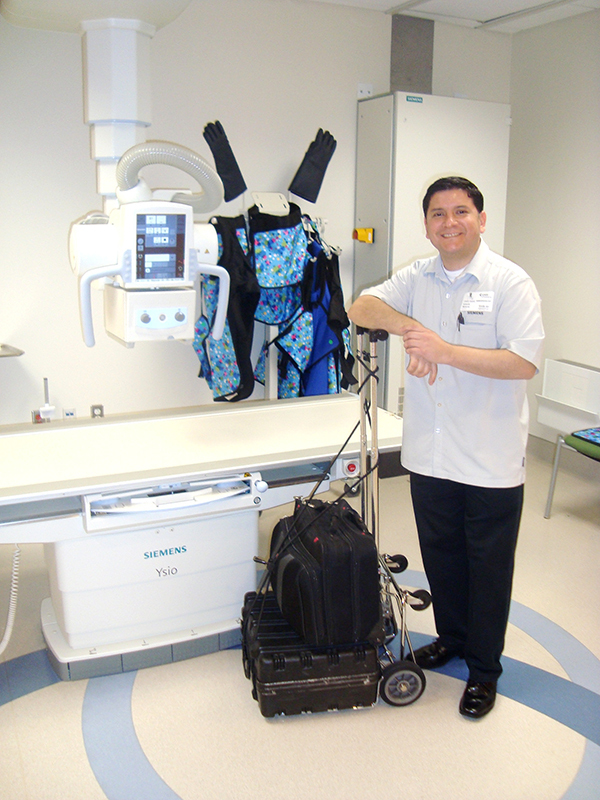 Antonio served in both the US Marine Corps and the US Air Force Reserves and says his military experience helped him to be successful in his career with Siemens Healthcare. Moleros joined the Marines in 1997 with an MOS in Aircraft Refueling after immigrating from Lima, Peru. After receiving an honorable discharge with an E-4 pay grade, Antonio then went on to join the US Air Force Reserve, to which he credits most of his technical knowledge and skills. As a Biomedical Equipment Engineer, he performed preventive maintenance, installations, repairs, and modifications of biomedical equipment, while observing medical standards, compliance, specifications, contracts and regulatory guidance. Orion helped match Antonio with Siemens Healthcare back in 2008, and he is still with the company nearly five years later. "I am convinced that my military background made this career the perfect match for me. No doubt my formation in the Marines gave me a positive life changing experience," explains Antonio, "The challenges which forced me to endure, adapt, and overcome were priceless and clearly translate into an everyday life in Siemens. It is not enough to know electronics; you have to take ownership of your work all while working efficiently." Antonio goes on to say that his time in the USAFR complemented his Marine Corps experience by shaping him into Biomedical Engineer. "The knowledge and skills learned in the Air Force rival those of any four year academic institution,states Antonio, "Without this quality of education received in the USAFR, it would be impractical to understand and work with civilian colleagues holding bachelors and master degrees in electronics and engineering professions." Antonio continues to enjoy working for Siemens. He explains that there are a number of professional development programs that make it evident to him that Siemens knows that by promoting employee betterment, they achieve a win-win situation. "Thanks to my comprehensive military formation, ethically and technically, after four-and-a-half-years in the company, I am now a Customer Service Engineer II (CSE II)," adds Antonio, "My military life has not faded away, however. In difficult moments on the job, my military experience comes into play and helps me to provide an efficient solution. I proudly work for one of the best companies in the world."